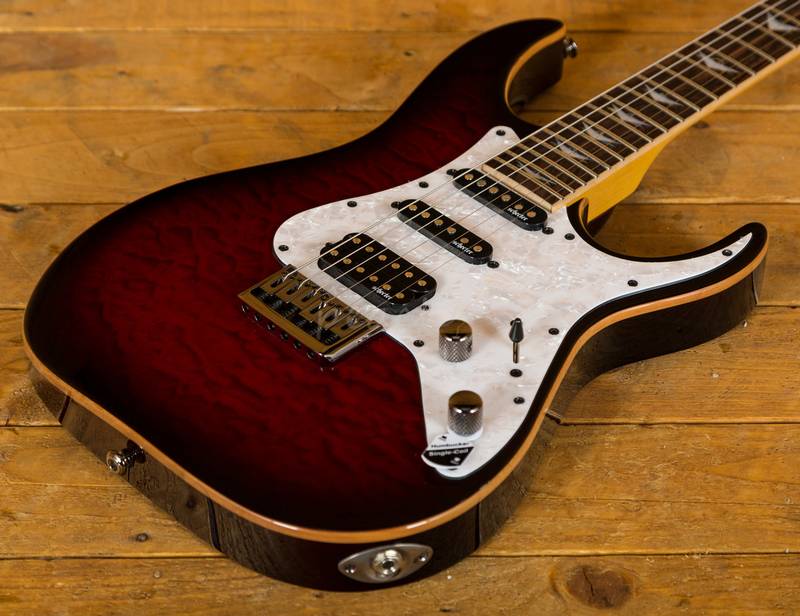 With a Mahogany body with a sweet quilted Maple top, this traditional S shape guitar has a lush natural tone. 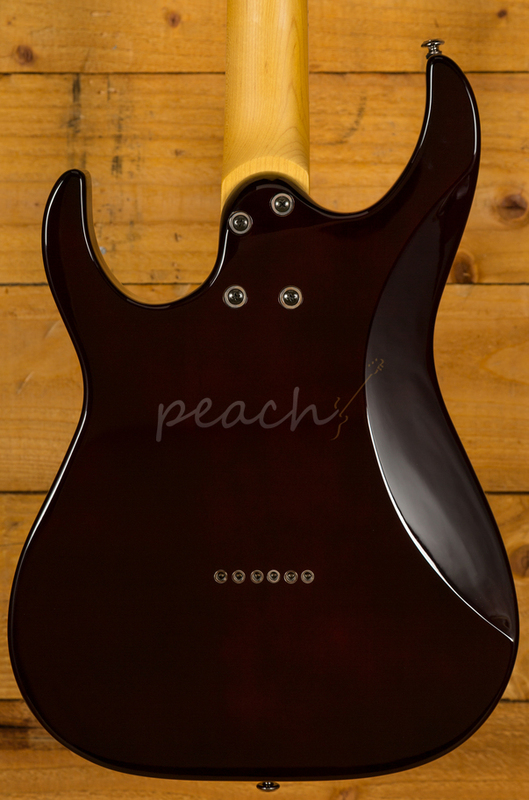 Finished in Black Cherry Burst it looks a million dollars. 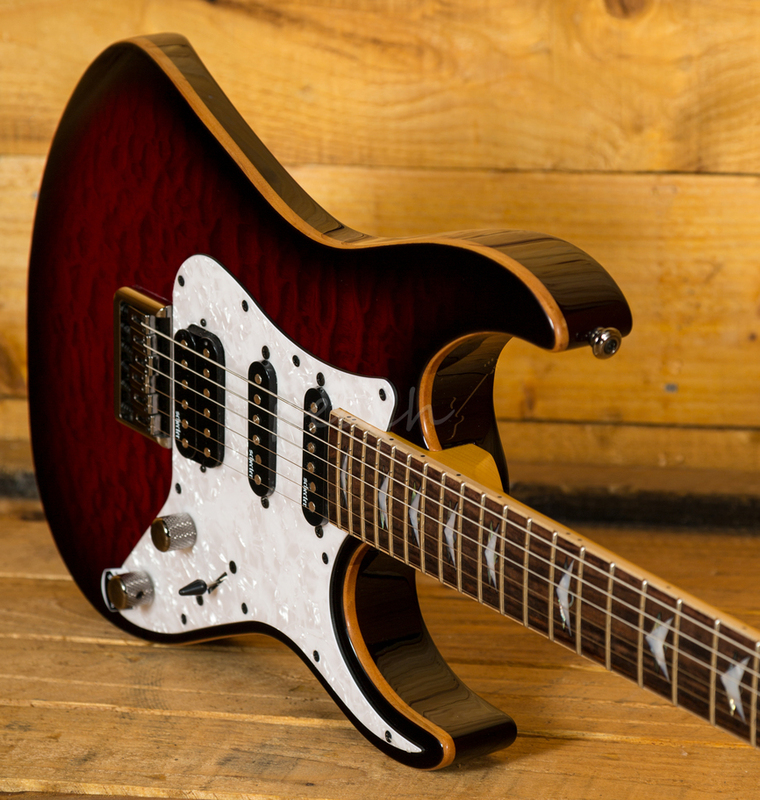 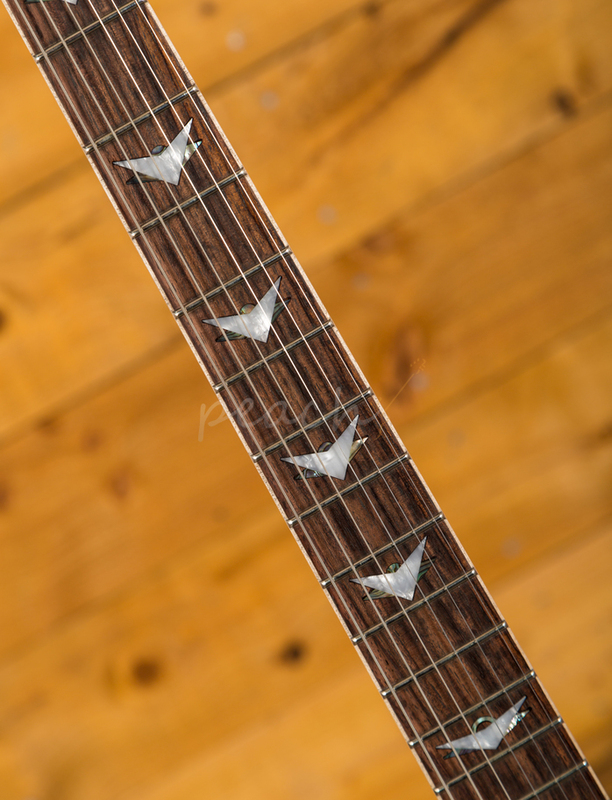 The Maple neck features a crisp Rosewood fingerboard with unique Pearloid and Abalone inlays, and with its 25.5" scale length, 16" radius and 24 X Jumbo frets, it plays as great as it looks! 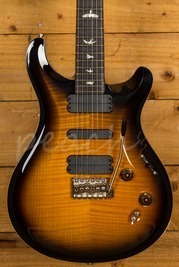 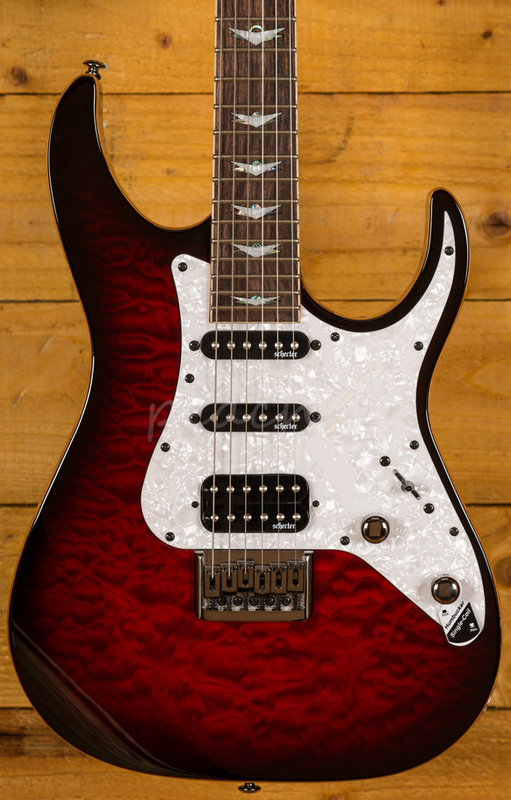 With a trio of Schecter Diamond pickups, including a humbucker at the bridge, you get a super broad tonal range. 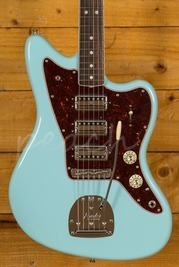 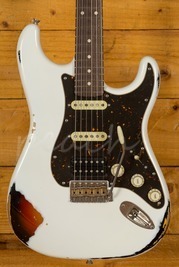 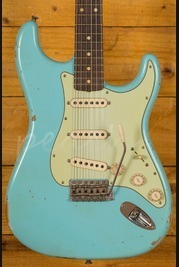 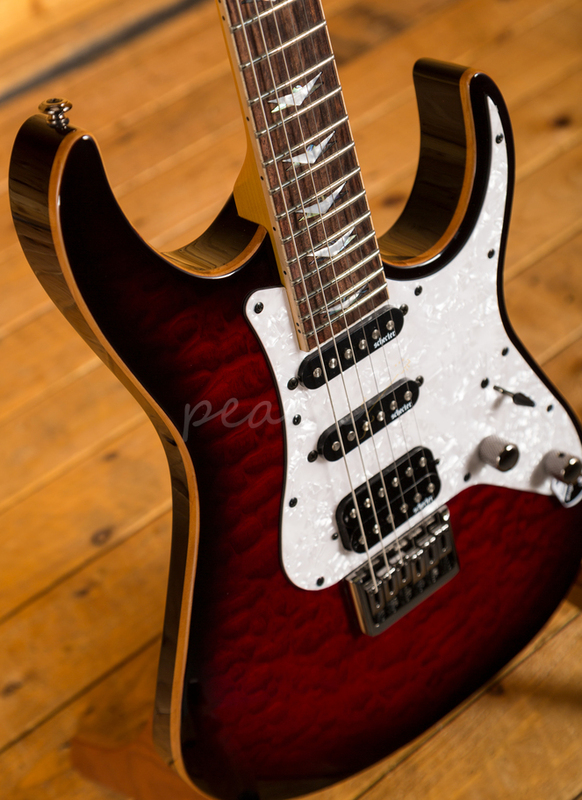 With a coil tap facility via the push/pull tone control, you can push this guitar just that little bit further. 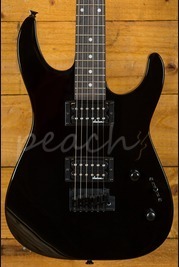 Perfect for metal but capable of so much more, the Schecter Banshee-6 Extreme is a killer guitar at a great price.